Let us move to the world of capacitors. You can see a number of capacitors scattered here and there in the circuit board starting from the front end to the last. These capacitors are doing lot of job in the circuit like smoothing, filtering, coupling, de-coupling, buffering etc. You can also see the size and shape difference. The capacitors may be electrolytic or disc but the structure is identical in both having two electrodes separated by a dielectric material. But the functions will be different. For example, a Smoothing capacitor in the power supply section will remove ripples from AC to give a clean DC while a capacitor in the audio circuit acts as the noise filter. 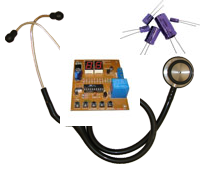 So the selection of capacitor and its use in the different parts of the circuit is important. Electrolytic capacitors are polarized so always connect with correct polarity otherwise, it will explode. Disc capacitors are non polarized so they can be connected either way round. 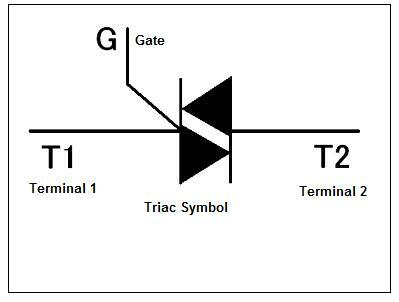 Triacs are the most common semiconductor devices used in power control and switching applications. The electronic power control circuits are designed to control the distribution or levels of AC or DC power sources. Such power control circuits can be used to manually switch power to electrical devices or to switch power automatically when parameters such as temperature or light intensities go beyond preset level. Triacs are borne with some inherent drawbacks, which will reflect in their working. Rate effect is the unwanted effect on triac controlled circuits caused by the transients in the AC line which causes erratic functioning of the circuit. Backlash Effect is seen in Lamp dimmer circuits using triac and sometimes the lamp never turns on when the control pot is turned fully. Here are the tricks to solve both the problems.